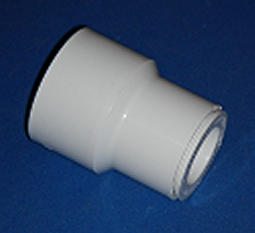 2" by 3/4" Reducing Couple, aka, pvc bells. Sch 40 (sized with bushing) Note: If you want a true one piece molded fitting 2" x 1/2", look for part no. 829-248.